What’s the difference between 0.01 and 1? When it comes to a price of cup of coffee, the difference is pretty substantial. Over the course of the last month or so, we’ve been talking to users, customers, and potential investors, it became clear that one of the things that bothers people about Bitcoin and other major “investment” cryptocurrencies is that they always require a calculator when trying to pay for anything, as the numbers have a lot of .00 in front of them, with the situation likely to get even worse. Since we’re targeting the retail segment with GRAFT, we thought it’s important to pay attention to the usability at the point of sale. Even though GRAFT is initially intended to be a “hidden” currency, facilitating a payment using one type of currency into another, longer term it’s possible that it will become more visible, and if it does, dealing with whole number is a whole lot easier than dealing with a lot of decimals. As an added bonus, this makes the purchase price psychologically more palatable to the investors. After weighing all pro’s and con’s and doing testing to the algorithms to confirm feasibility, we have decided to go forward with the change. We’re keeping everything else (emission formula, coin distribution percentages, and valuation) the same, just multiplying the size of emission by 100. 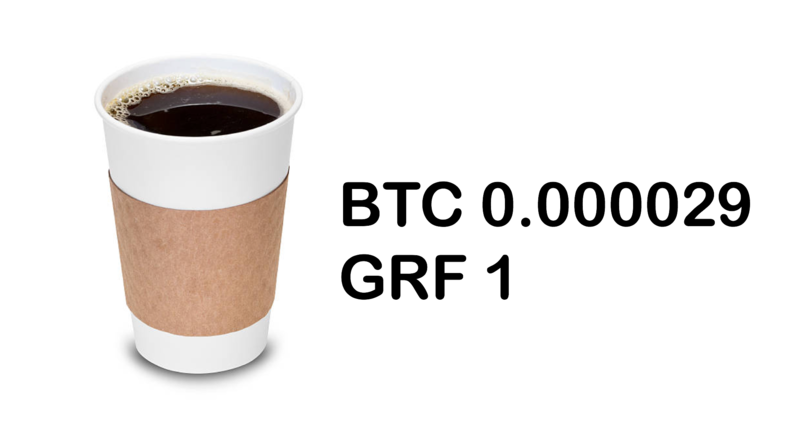 If you have received grf:token so far as part of the Presale, service, or bounty programs, we will apply the split at the time of conversion to the GRF coin.